Human rights and peace are the social issues that matter most to young Europeans. 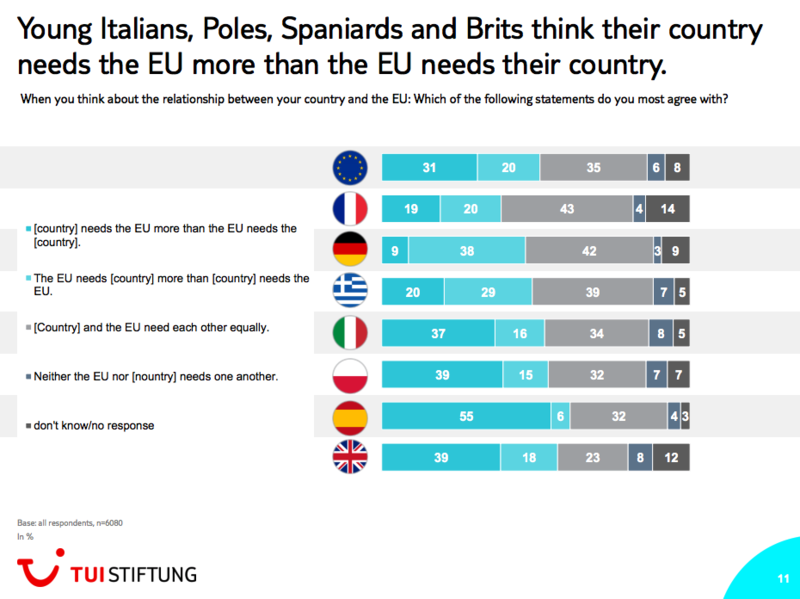 That was one of the findings of a survey for German thinktank TUI Stiftung, which aimed to gauge young people’s attitudes to the European Union in 2018. Pollster YouGov quizzed a total of 6,080 people aged 16-26 from seven EU countries – France, Germany, Greece, Italy, Poland, Spain and the UK – on a range of topics including which social values were most important to them. Overall, human rights and peace mattered most, though there were exceptions. 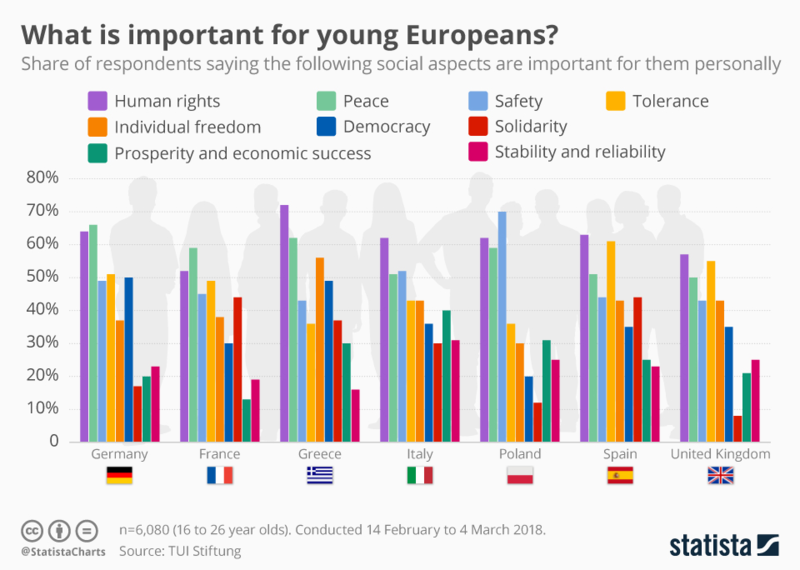 Young people in Spain and the UK considered tolerance more important than peace, while in Poland safety was the top priority. 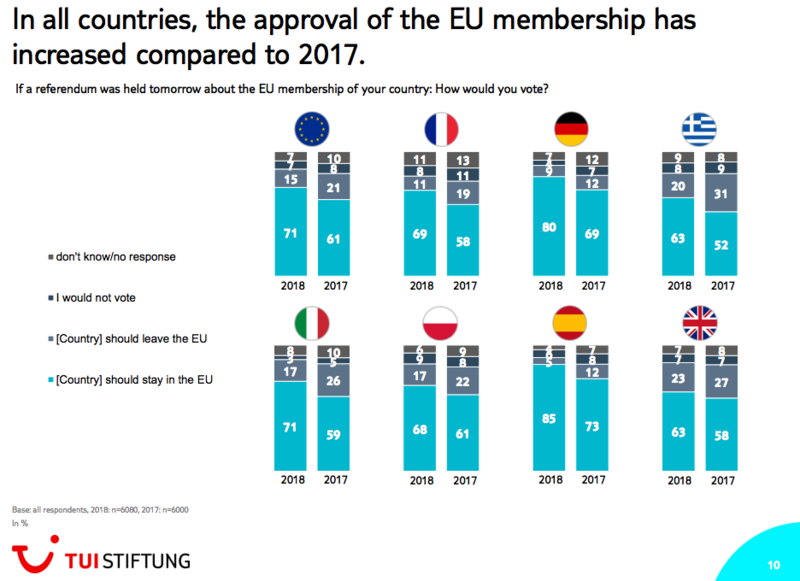 The survey also revealed that support for the EU is rising among young people in all seven countries polled, compared to 2017 levels. According to the report, hypothetically, if these countries were to hold national referendums about EU membership today, 71% of the respondents would vote to stay, up from only 61% in 2017. Interestingly, the rise in “remainers” was smallest in the UK – which voted to leave the EU in 2016 – with an increase of just five percentage points. 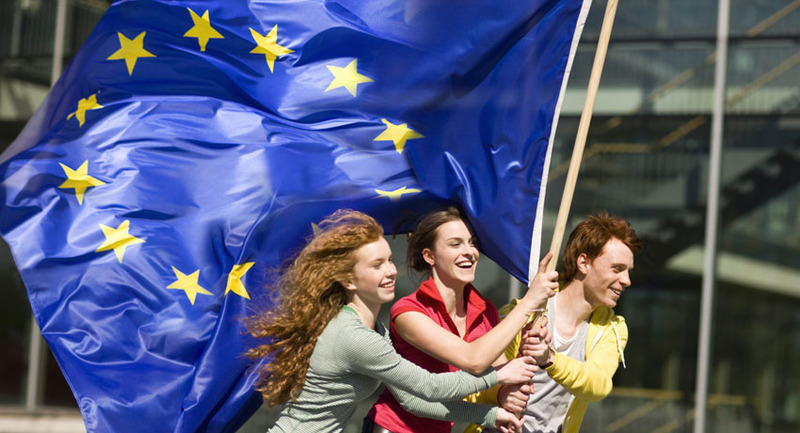 The share of young people who describe themselves as Europeans as well as citizens of their country has also increased, from 45% in 2017 to 52% in 2018, the report says. This trend was particularly pronounced in France, Italy, Spain and the UK. The 4 Waves of Artificial intelligence. Who Will Own the Future of Technology?